The horrific events in Gaza yesterday – following a six-week protest leading up to Nakba Day, which was further ignited by anger at Trump's decision to relocate the US embassy to Jerusalem – left fifty-eight Palestinians dead and at least 1,200 injured, making it the bloodiest day since the 2014 war. Nakba Day, an annual day of commemoration of the displacement that preceded and followed the Israeli Declaration of Independence in 1948, falls on the 15th of May each year. 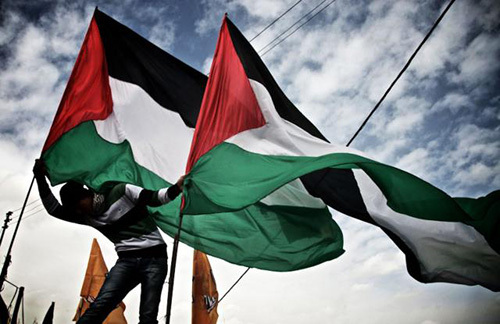 In an attempt to understand the catastrophe, we bring you a reading list of key books on the Israel-Palestine conflict, from Ghada Karmi, Bernard Regan, Mahmoud Darwish, Naji al-Ali, Ilan Pappe, Edward Said, Shlomo Sand, and more. “This marvelous book looks at one of the thorniest aspects of foreign policy today. It's a book for those who are not content to sit on the sidelines and watch the continuous dispossession of the Palestinian people, committed if not in our name, then with our blessing. Josh Ruebner has offered a badly needed contribution to a discussion that is all too often suppressed in the mainstream media." - Bill Fletcher, Jr., writer/activist, immediate past president of TransAfrica Forum.